Germany based global publisher of free-to-play online games, Aeria Games, has some exciting news to announce. Their horror series is bringing F.E.A.R. Online to PC via Steam on October 17th. Though if you are interested in playing it before the 17th, there will be an open beta that will open up on October 8th via the Aeria Games Portal, which you can sign up on the F.E.A.R. Online official site. 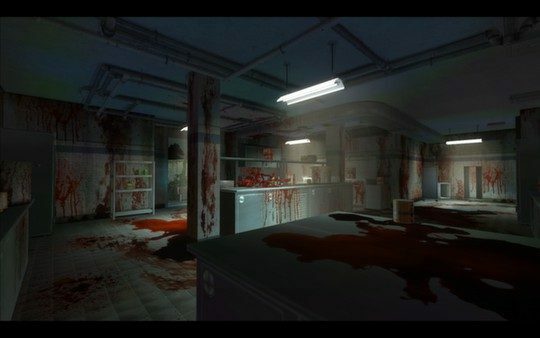 Fans will be able to engage in the new installment of the popular horror franchise and experience the terrifying game behind the F.E.A.R. universe. F.E.A.R. Online went into Closed Beta back in May, and it received some helpful feedback in order to bring an extensive redesign, and there has been gameplay adjustments, which makes the first-person shooter game experience unique for players. Along with redesign and adjustments, new maps have been added, new scenario, and a redesigned crafting system that allows for making one-of-a-kind weapons. F.E.A.R. Online with the help of the feedback received, is ready to deliver a game that the fans have asked for. Cooperative Story Mode – Battle through horror-filled scenes and take down the creatures you encounter with a group of friends. Discover all-new environments, weapons, and enemies all wrapped up in a terrifying experience. Fearsome Fast-paced Multiplayer – Choose from over ten different PvP maps and shoot it out against both rival players and horrifying deadly monsters. Only the strongest will survive the nightmarish combat and live to F.E.A.R. another day. Satiate your Blood Lust – Add a twist to the classic team versus team death match by transforming into beasts! Engage in combat to fill your transformation gauge. As soon as it reaches the maximum, you will be able to transform into a blood thirsty beast! Become the Soul King – Play as a ghost with limitless potential in Soul King mode! Gain access to new abilities by possessing your enemies and hunt for fresh souls in an all out assault against other players. You can find out more information on F.E.A.R Online on the official site. Plus stay up-to-date on additional news on the game via liking the Facebook page and following their Twitter.